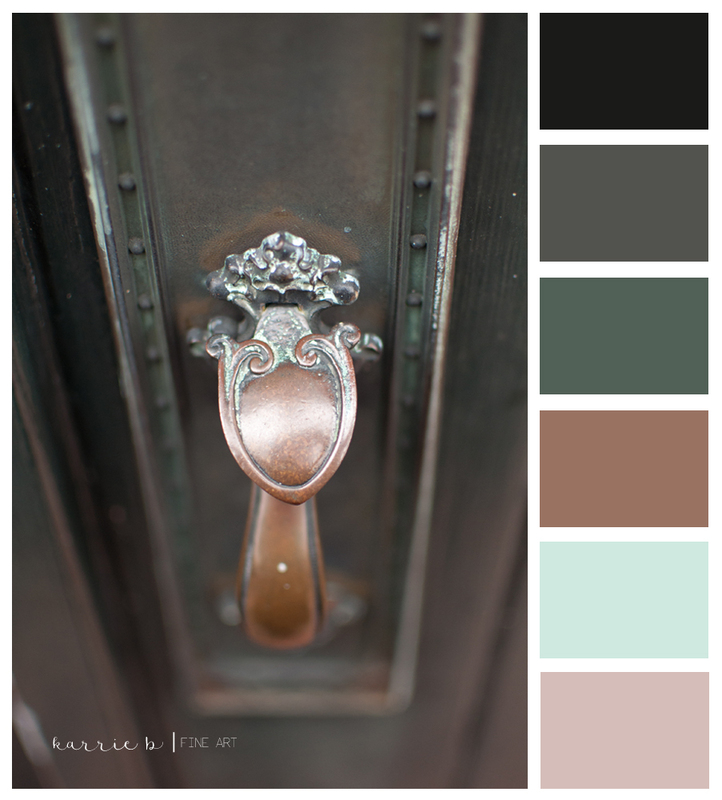 Today's color inspiration is from a head shot session I had with a few photographer friend's in Suffolk, VA. It was a winter day, super cold! The ornate patinaed door handle caught my eye. Image available for purchase in my etsy shop.